The Rotary Club of Visalia, California, was organized in the year 1921. The organization work was done by the Fresno Rotary Club by members of that club including Hugo Allardt, Clarence Staples, Nye Swett and Al Sunderland. The organization meetings started in the Spring of 1921 when members from the Fresno Rotary Club came down to visit with Morley M. Maddox. There were several informal meetings held and this was climaxed by a meeting at the home of Morley H. Maddox where the original twenty-five future charter members met and decided that they would go ahead with the organization of a Rotary Club in Visalia. 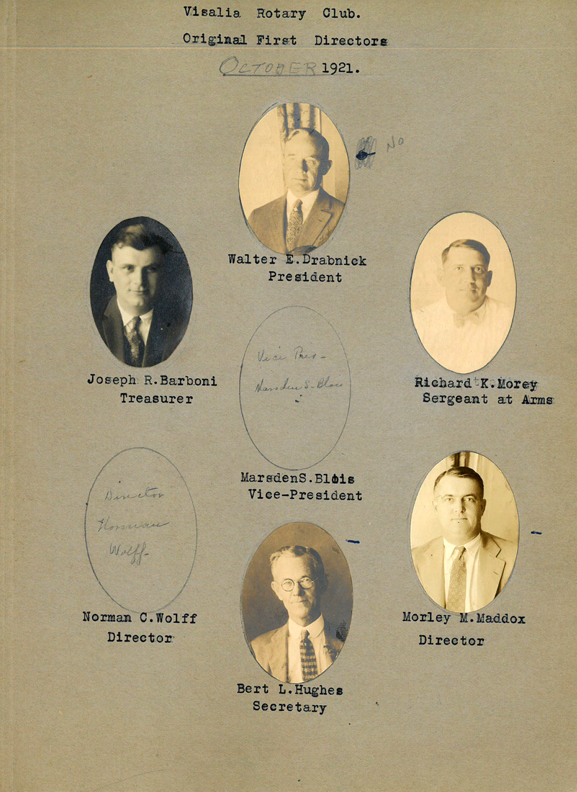 The formal organization meeting was held on Thursday evening, September 30, 1921 at the Hotel Johnson and at that time an informal election was held of officers. 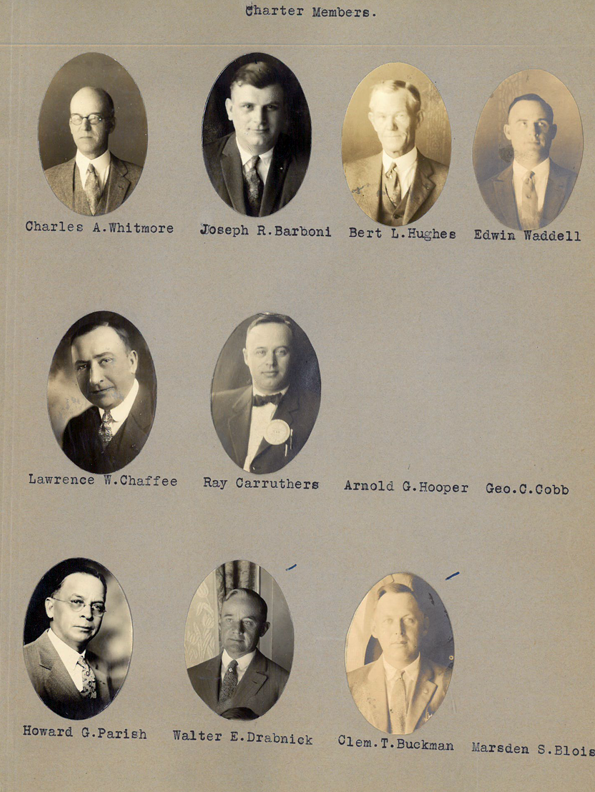 The first regular meeting was held on October 5, 1921, although the Charter was received on the 10th day of January, 1922 when a group of Fresno Rotarians presented the club with the Charter and also a new gavel and base to help the club on its way. 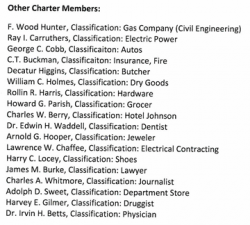 Of the charter members of the club, still active and holding their original classifications, are Clem T. Buckman, Harry C. Locey and Harvey V. E. Gilmer. The Visalia club was a member of District No. 2 and at one time there were one hundred forty-seven clubs in this district. However, in 1928 and 1929 action was taken towards breaking up the district into smaller districts and there was a great deal of argument both for and against such a move. After a great deal of argument both ways, the district was finally divided and at that time the Visalia club became a member of District No. 106. Then, subsequent to that, another division was made and Visalia then became a member of District No. 158 and District No. 159 in 1956. The district was then composed of thirty-three clubs. During the time of the larger districts, the districts covered a large territory and we had many important people in the history of California who at one time or another were District Governors of the district of which the Visalia Club was a member. In the year 1938-1939, our club was honored by having our member, J. Thomas Crowe, the Governor of District No. 158. Then in 1955 the district became District No. 159 and in 1957 it became District No 524. In the Rotary year of 1960-1961, J. Lawrence Williams was District Governor of District No. 524. From the beginning of the time the club was instituted continuing through until the present time, it has been the fundamental principle of our club to practice the Rotary Motto of "Service above Self", and as a result over the years the officers, directors and members of the club have been active in the community affairs and it was the purpose of the club and its members to practice the motto "Service above Self" in worthy activities in the City of Visalia and its surrounding area. One of these things is the work that was done by our member Robert F. Cross, Sr., who was instrumental in doing a great deal to start the program in aiding and helping the physically handicapped children and which has now developed into a Countywide program. For many years, Mr. Cross was a member of the Board of Directors of the California Society for Crippled Children. Several of our members were active at the time there was a coordinating council organized in this community which later resulted in the Visalia City Council adopting an ordinance creating a Park, Playground and Recreation Commission and several of our members have acted as members of this Commission and one member of the club, Gareth W. Houk, Sr., was the Chairman and member of said Commission for a period of sixteen years and a member of the California State Recreation Commission for fourteen years. The Visalia club has also been very active in helping to organize and institute new clubs and two clubs which were sponsored by the Visalia club are the Woodlake Rotary Club and the Hanford Rotary Club. 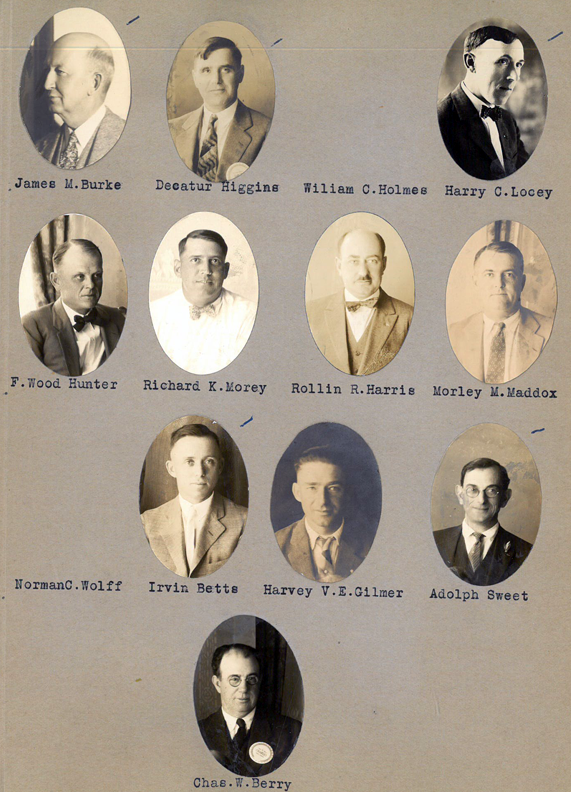 At the time those clubs were organized and during their first year of operations, the Visalia club through its officers and committeemen helped to arrange for the programs and the working of the Club's activities and committees so that they would have a good start in Rotary. The First Annual Assembly for the District No. 524 was held in Visalia in April of 1958 and the consensus of all concerned was that it was a very find Assembly and one that the members of the Visalia Rotary Club could be proud of having arranged and hosted. The Rotary Club of Visalia has always had the reputation of being a very spirited and active group, and during the administration of Harry C. Locey as President in 1928-1929, it was interesting to note that after the visit of the District Governor he wrote a letter to Harry Locey as President of the club, par of which was stated as follows: "I hope that you will be able to work out the difficulties that we discussed while I was there. I regret to tell you that representatives of other clubs near you have the feeling that your club is a bit rough and sometimes lacking in the qualities that gentlemen should show. 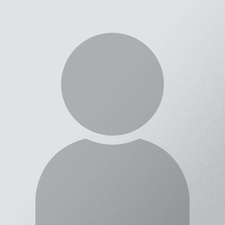 I know that impression is one gathered from an impersonal knowledge of your men, whom I came to feel are a fine group of fellows. But just the same it is the impression which they unfortunately have given to a good many visitors." "I believe that we had the best food at your dinner that I have eaten at any club recently and I feel humiliated that after such service we should have left the dining room floor in the disgraceful condition that it was in." In fact, the word has been spread around from time to time that some members of our club had the temerity to hurl biscuits through the air and even spill water in the chair seats of fellow members and on the floor, all of course to the horror and consternation of the members of our club. Many of the members of our club from time to time have served as members of the City Council for the City of Visalia, have been Mayor of the City of Visalia, and have acted upon many of the other Boards of Directors of many of the different charitable groups and organizations in our city and other organizations within our city, and have taken an active part in the community life as well as the Rotary life. Our club started out with a membership of twenty-five, of course, and at the present time we have a membership of 137. Another Past President of our club, Ira J. Chrisman, served as Mayor of Visalia and is now a member of the California Water Commission. We have a Past President who is now living in Shafter, California, Pat Kelly, who after moving to Shafter served as a District Governor of our District in 1947-1948. During the war years, the Viaalia Club was also very active in the War Bond Sales for the United States Treasury Department and during the months of November and December of 1944, with David J. Toomey as President, our club bought or sold $879,687.50 worth of Government Securities and there is a letter in the files of the club from the Field Representative of the War Finance Committee of the Treasury Department thanking the club for its services in this behalf and complimenting it on its extra-ordinary support int this regard.